HOUSTON (AP) Texas communities that were hit hard by Hurricane Harvey will be able to apply for more than $1 billion in federal funds that can be used on projects to help prevent or lessen damage from future storms, Gov. Greg Abbott announced. The funding can be used by cities and counties to pay for a variety of projects, including buyouts and elevations of homes, seawalls and large-scale channeling of waterways. “I want to reassure every single Texan that's impacted by Harvey, that we will never let up until your homes and businesses are restored, until your communities are fully protected from future potential storm damage,” Abbott said during a luncheon in Rockport, one of the many Texas cities that suffered devastating damage during Harvey. The hurricane made landfall as a Category 4 hurricane on Aug. 25 and dumped more than 60 in. of rain in some areas of Southeast Texas after weakening to a tropical storm. 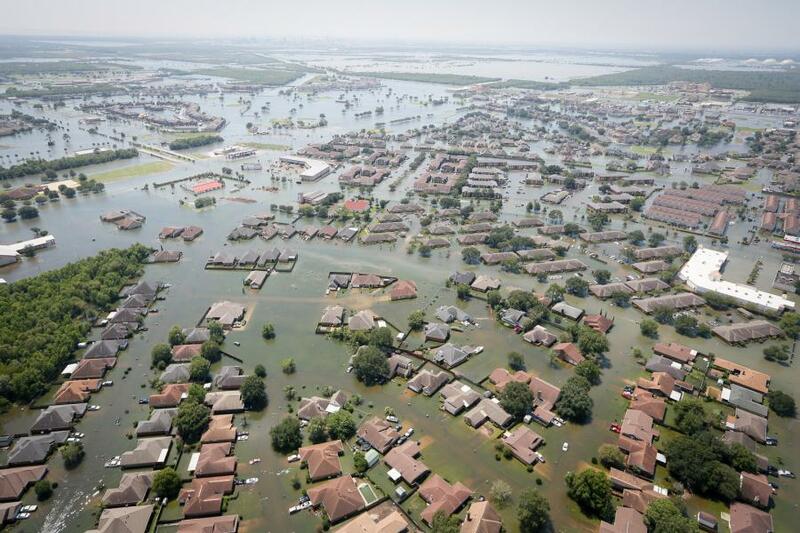 The storm flooded thousands of homes, was responsible for 68 deaths and caused an estimated $125 billion in damage. Abbott encouraged communities to begin applying for the funding from the Federal Management Emergency Agency as $500 million is available and ready to be disbursed once communities submit and get approval for their applications. The rest of the funds will be disbursed by the anniversary of the storm's landfall. While the federal government would typically provide for 75 percent of the funding for such mitigation projects, Abbott said the federal government has agreed to pay for 100 percent of the costs. Possible projects that have been discussed include building a third reservoir for the Houston area, widening some of the area's bayous and building detention basins.